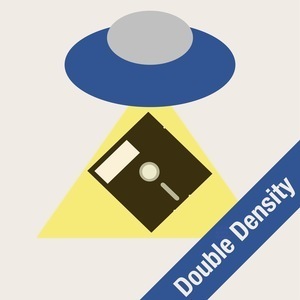 We found 10 episodes of Double Density with the tag “montreal”. Angelo is excited about Super Smash Bros. Ultimate, and Brian is worried that we may annoy aliens with a cosmic laser pointer. This week, Brian and Angelo welcome Amber and Andrew from Into the Portal to briefly talk about starting a podcast, their tech setup, and learning about how to podcast on the fly. The foursome then continue their creepy tour of Canada that started on Into the Portal and take a look at some UFOs, cryptids, pirates, ghost ships, and hauntings. Join us as we go from Angikuni Lake in Nunavut, to Roberts Arm in Newfoundland and everywhere in between. On this week’s show, Siri threatens Angelo, Flash is finally going away, MS Paint is sticking around, and Brian's weekend trip prompts us to take a look at two cases of alien abduction: Betty and Barney Hill, and the Mohave Incident. The curse of episode 13!!!! The guys talk about iPads as laptops, but are interrupted by technical issues. When they return, they talk console wars, macOS gangs vs iOS gangs, kids and Zelda, Jodie Whittaker is awesome, and the number 13 is not awesome, Also the things Sean David Morton did not see coming, and they get into how author John Keel took some very interesting notes. Angelo can’t shut up about his recently-shipped iPad, Brian has a new podcasting studio, a potpourri of conspiracy culture, including the new MJ-12 documents. Also: Stanton Friedman seems like a nice guy, and much more. This week, Angelo discovers Brian’s shocking secret, changing from Android to iOS, and they ponder why people think they are seeing UFOs. Bonus: A discussion of close encounters of all kinds! In the inaugural episode of the podcast, Brian and Angelo discuss their respective tech histories, old computer games, the Mobile, AL leprechaun incident and more!